Yeah, I said his name. 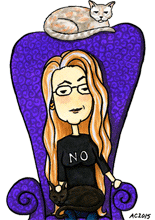 I’m not afraid of the Dark Lord, all things considered. In honour of Harry Potter and the Deathly Hallows Part 2, my friend Gretchen suggested I weeble Voldemort. This is an homage to a certain scene in the movie, but trust me, if you haven’t seen it, this won’t spoil it. I even gave him a cute plushie Nagini to hang out by his feet with her patchwork spots. 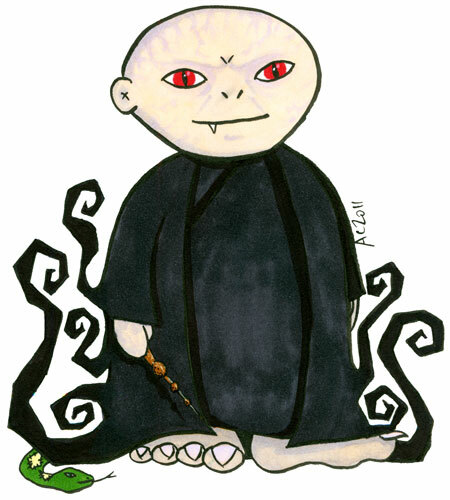 Weeble Voldemort, 5.5″x8.5″ pen and ink and Copic markers on sketchbook paper, not for sale.